A Sign Of The Times……It’s Nearly Christmas! 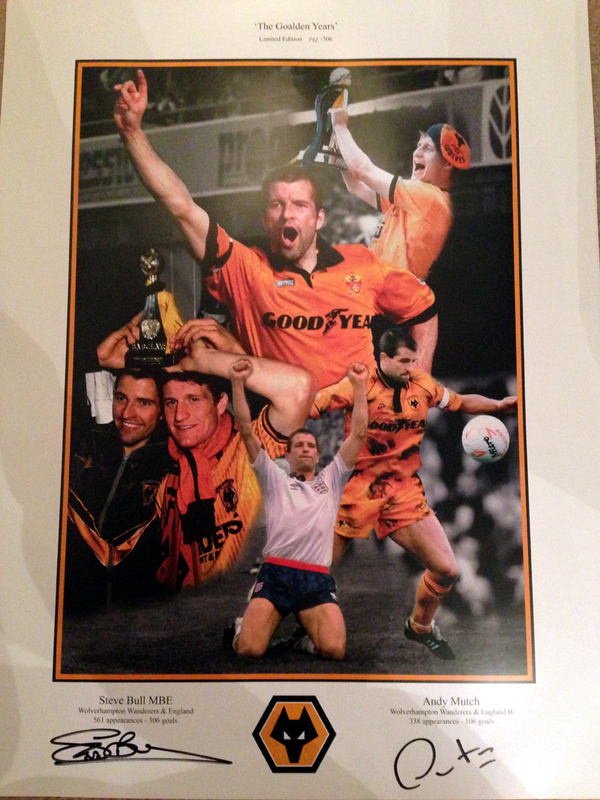 In terms of sheer volume of goals, Steve Bull never had it as good as he did in November and December of 1988. Those two months. which are now all of a quarter of a century ago, came when Wolves were last in the third tier of English football – and on a thrilling upward spiral. It was the first time the South Bank echoed to chants of ‘Bully For England’ and the first time he responded with that airplane celebration that became one of his trademarks. Twenty five years ago this week, Bull scored four times in a 6-0 home win over Preston, followed up by netting in a Sherpa Van Trophy draw at Hereford and then hit hat-tricks in the club’s next two games at Molineux – against Port Vale in the Sherpa Van (when he struck four times) and Mansfield in the League. He suffered a quieter spell then – it was January 24 before he rattled in another hat-trick! All told, he had 26 goals to his name by the turn of the year and, with Andy Mutch bagging ten by the same point, no wonder Graham Turner’s side were destined to comfortably win the Third Division title. The two men have been together again recently with the Christmas memorabilia market in mind, attending a private signing to put their seal of approval on some quality merchandise. 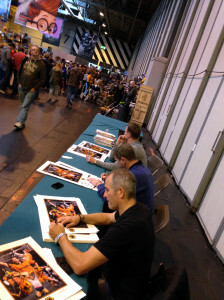 The one-time scourge of opposing defences, who have both been inducted in Wolves’ Hall of Fame, were present to autograph a 306-strong (one for each of the goals Bully scored for the club) run of limited edition prints entitled The Goalden Years. A nice decoration for the wall. The items cost £19.99, including postage, and are the initiative of Jason Guy, an increasingly prominent figure on the charity and sponsorship front around Molineux. Posted on: Friday, November 29th, 2013.